When shopping for cookware, people often wonder if they should opt for nonstick cookware or regular uncoated stainless steel. There's much to consider when selecting new pots and pans, so it's a good idea to understand the pros and cons to both varieties. It's mostly a matter of personal preference—keep the foods you frequently cook in mind so you can select the best pans for the job. While you can purchase most any type of cookware online, if you're new to the process, it's best to go to a store. You'll want to feel, lift, and inspect the quality of many different pans. It's also helpful to see the pans in person in order to gauge the circumference of the cookware—sometimes online product photos do not give you a size scale for reference. Danie Drankwalter / The Spruce. Nonstick cookware is easy to use and clean, as the slick coating helps to keep food from sticking, and it's easy to clean afterward. Health-conscious cooks like that they can use a lot less oil than they would with uncoated cookware. That helpful cooking surface also carries some potential risks. 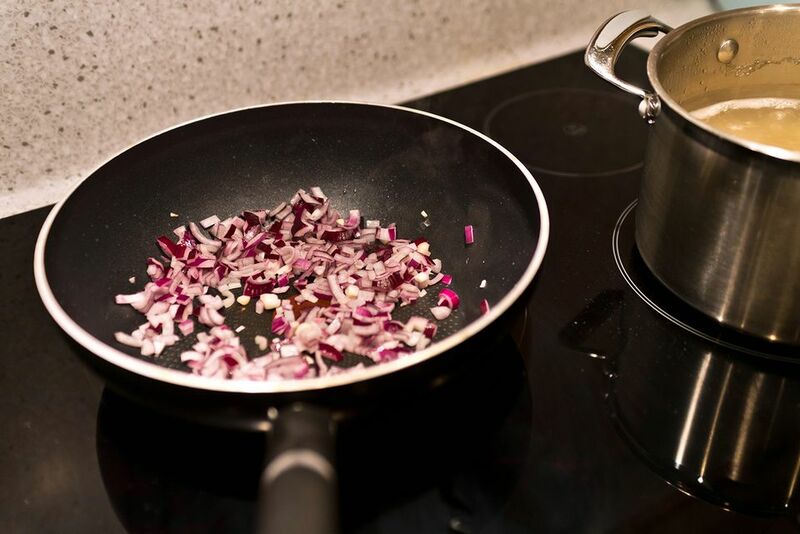 Certain scientists, environmentalists, and consumer advocacy groups have concerns about the chemicals used to make many of the nonstick coatings on the market, such as PTFE (most commonly known as Teflon). The chemical of most concern is PFOA. Fortunately, The Environmental Protection Agency asked major chemical manufacturers to phase out the use of PFOA, and Teflon has been PFOA-free since 2013. Never heat a pan empty on a burner. Keep your burner on medium or low. Throw out a pan if its coating is starting to chip or flake. Lastly, nonstick pans simply can’t achieve the searing and browning effect that an uncoated stainless steel pan does. Instead, food more or less steams in its own juices. You can also find more eco-friendly nonstick finishes on the market, such as the ceramic coating on Bialetti cookware. Uncoated stainless pans do a great job at producing that beautiful and delicious browning (called the maillard reaction). They’re more durable since there’s not a coating to be concerned about protecting. As long as the handles are made of heatproof material, they’re usually oven-safe. The drawback is that burnt-on food can require some elbow grease to get off (try an abrasive cleanser like Bon Ami or Barkeeper’s Friend). Buy one or two nonstick skillets for cooking eggs, pancakes, and other foods that are known to stick to a pan, but invest in high-quality uncoated stainless steel for the rest of your cookware. For instance, there’s no need for a nonstick coating in saucepans or pots, where the contents are mostly liquid.